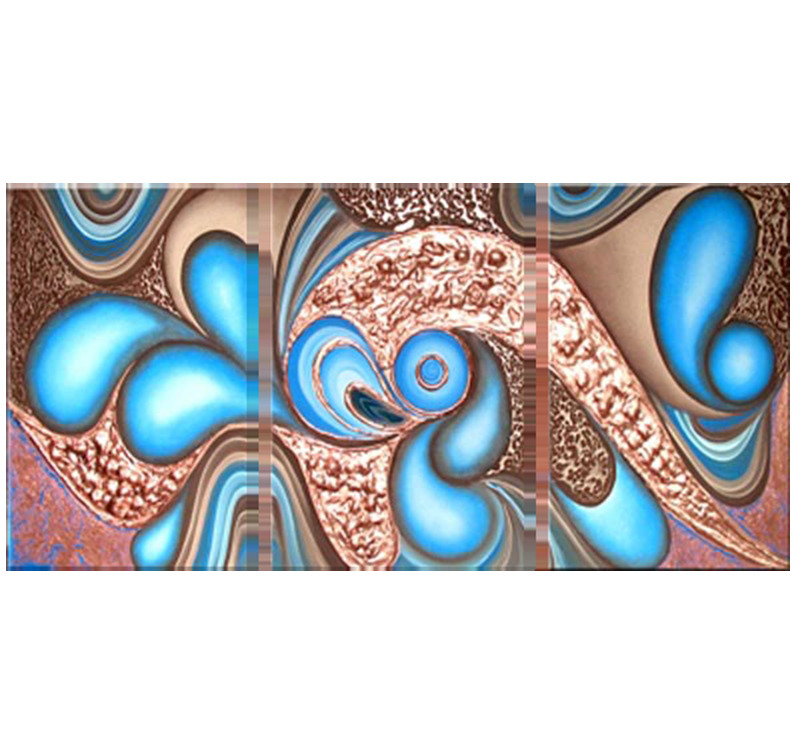 With its sublime blend of colors representing water and earth with an ethnic tone, this piece is both abstract and contemporary. This painting is 180 x 80 cm (70.87 x 31.50 po). FREE delivery within 48/72 hours in metropolitan France for this abstract painting. Each painting is treated to withstand UV and moisture. 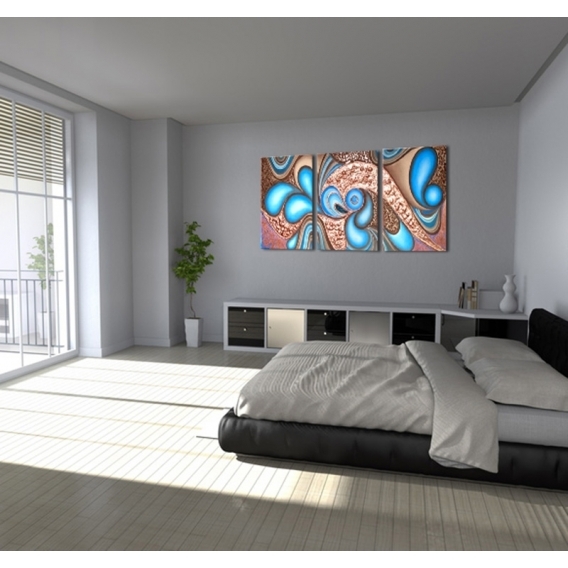 Whether you hang it in your bedroom, your living room, your kitchen or elsewhere in your home, this "Abstract Waves" triptych will brighten your walls up thanks to its palette of vibrant blue and golden colors. With its highly ethnic style, this canvas painting will stand out as the primary element of your wall decoration. This artwork's beautiful rounded shapes and sinusoids will bring a modern touch to your room. The modern pieces are delivered with cardboard corners and hanging hooks. All the canvases falling into the paintings category are original artworks; painted by our artists, they are then treated to withstand UV and moisture to ensure optimal rendering and lifetime.